What can organized veterinary medicine do for you? In this episode, Seth welcomes Dr. Stacy Pritt, Dr. Rena Carlson, and Dr. Lori Teller of the Board of Directors of the American Veterinary Medical Association (AVMA). 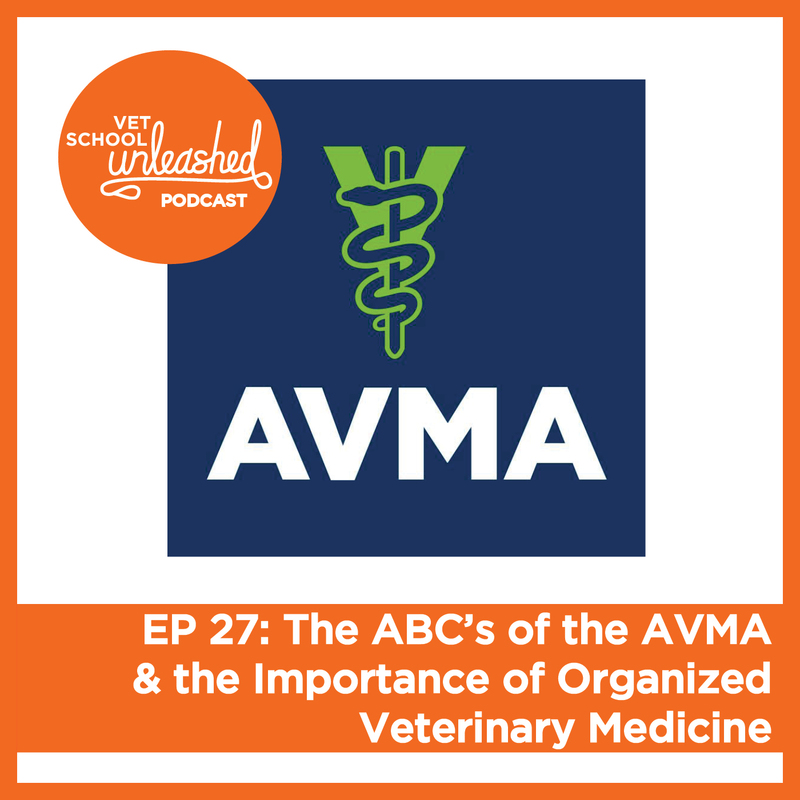 They discuss why the AVMA is so important to our profession, what the AVMA does for students, how the next generation of veterinarians can make the profession even better, and more! Be sure to check out your school's chapter of SAVMA! The AVMA is the nation’s leading advocate for the veterinary profession. Representing more than 91,000 members, we protect, promote and advance the needs of all veterinarians and those they serve. We develop positions on key issues and advocate for veterinarians, advancing their ability to provide crucial veterinary services. We provide educational accreditation and certification programs that protect and elevate the quality of veterinary care. We provide timely and relevant products and services to our members that enhance their opportunities for success and service, and support them in protecting the health and welfare of animals in their care. We educate the public on the important and varied types of work that veterinarians do to advance both animal and human health.